With Rob Cowan. My Favourite Impromptus; Music in Time: Tavener: Eternity's Sunrise; Proms Artist: Esa-Pekka Salonen, featured conducting Beethoven's Leonore Overture No 2. My Favourite... Impromptus. This week Rob shares a selection of his favourite impromptus, works that are based on improvisation and impulse. The line-up includes Schubert's Impromptu in G flat, performed by Alfred Brendel, Scriabin's Impromptu Op.14 No.1 with Klara Min and Bennett's Five Impromptus for guitar featuring Craig Ogden. 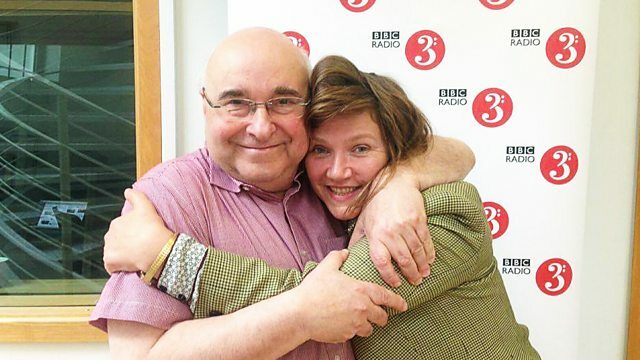 Rob's guest this week is the BAFTA award winning actress and writer Jessica Hynes. Jessica was one of the creators and stars of the popular British sitcom Spaced, and is well known for her other comic roles including Cheryl in The Royle Family and Siobhan in the Olympics backroom comedy Twenty Twelve, and the BBC parody W1A. Jessica will be talking about her comedy writing and her acting roles, and sharing a selection of her favourite classical music, including works by John Ireland, Marcel Tournier and Will Todd, every day at 10am. Rob places Music in Time. Today he looks to one of the most successful British composers of the Modern period, John Tavener, whose minimalist techniques create a sense of stasis in his work, Eternity's Sunrise. Rob's featured Proms artist is the composer-conductor Esa-Pekka Salonen, who conducted his Philharmonia Orchestra in music by Schoenberg, Dutilleux and Mahler in last night's Prom 32. Today on Essential Classics Salonen brings his creative instincts to bear on Beethoven's dramatic Leonore Overture No.2. Singer: Patricia Rozario. Ensemble: The Schubert Ensemble. Performer: Jonathan Manson. Performer: Elizabeth Kenny. Performer: Laurence Cummings. Music Arranger: Fritz Kreisler. Performer: Nils‐Erik Sparf. Performer: Bengt Forsberg. Orchestra: Gabrieli Players. Conductor: Paul McCreesh. Robert Kajanus: Finnish Rhapsody, Kullervo's Funeral March, Sinfonietta, Aino. Performer: Heinz Holliger. Orchestra: I Musici. Performer: Shivkumar Sharma. Performer: Hariprasad Chaurasia. Performer: Brij Bhushan Kabra. Performer: Manikrao Popatkar. Singer: Patricia Rozario. Orchestra: Academy of Ancient Music. Director: Paul Goodwin.